Click here to see the new painting I created especially for this room to match my Christmas decor. 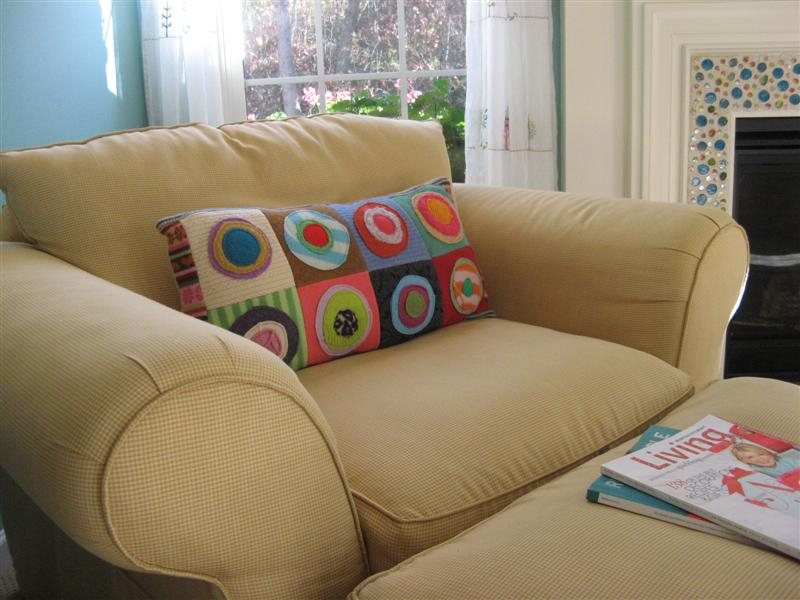 Here's a photo of my family room decked out for Christmas. This photo was taken BEFORE I created my new winter painting for this room called "O Christmas Tree." 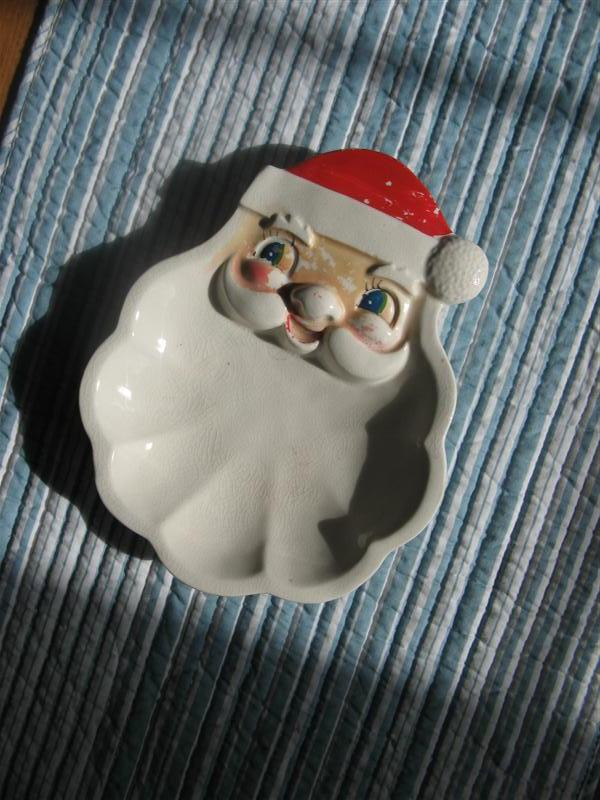 This Kitschy Candy Dish was my grandma's. It reminds me of being at her house every year for the big Italian Family Reunion she and my grandpa so graciously hosted in their basement Rec Room for about 50 years. 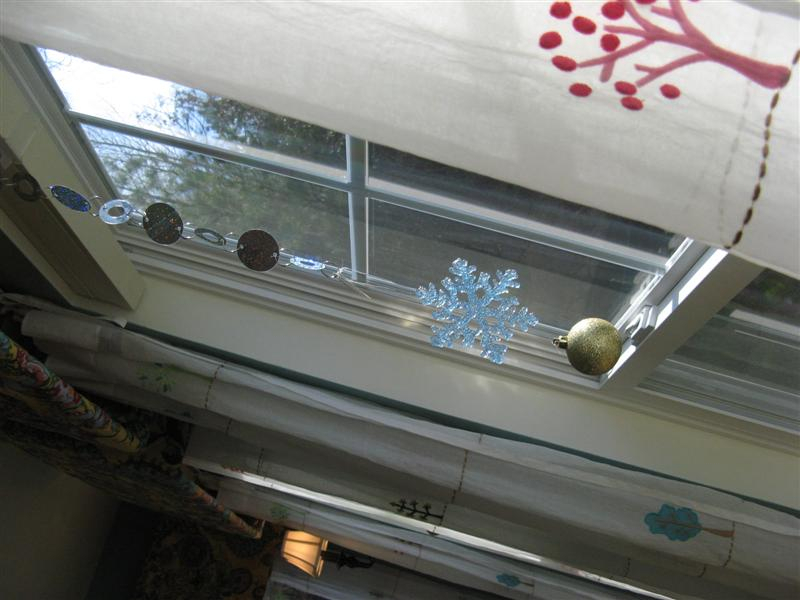 I made these snowflake sun-catchers with odds and ends I picked up at Dollar Tree at the end of November. Its simply a garland with a snowflake and gold ornament attached to it. 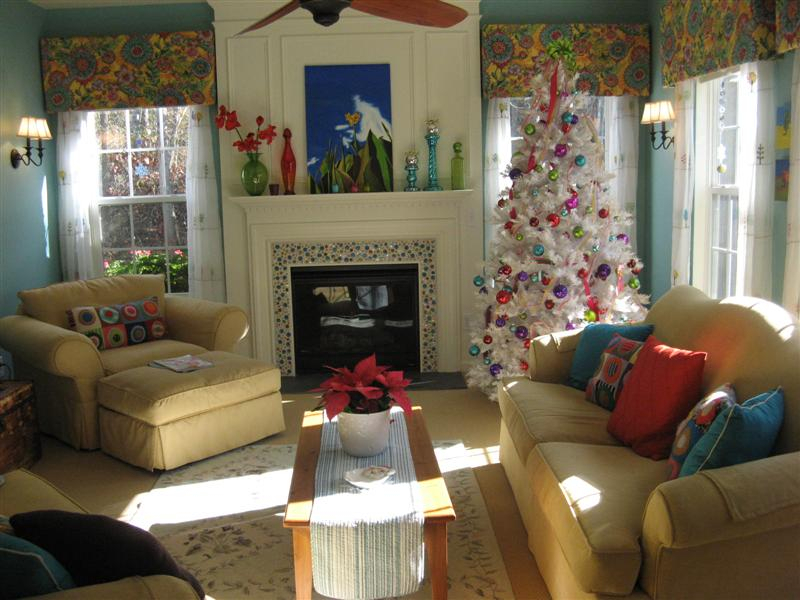 This entry was posted in Decorate!, My 2009 Christmas Decor and tagged artist marie scott, Christmas, decorations, south carolina artist. Bookmark the permalink.